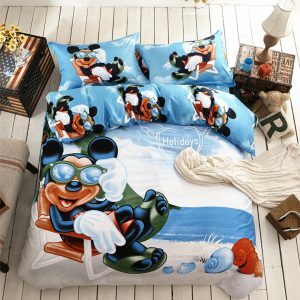 The birth of a new born is most certainly a milestone for every parent and as a loving mother-to-be or father-to-be, one of the primary things which would be on their shopping list would include baby bedding sets. 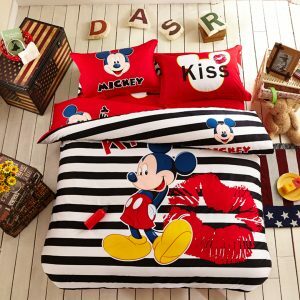 The search for a quality and comfortable bedding set for the little one starts as soon as the gender of the child is known and although most parents begin their search by choosing a particular theme/design, the often neglect the size. 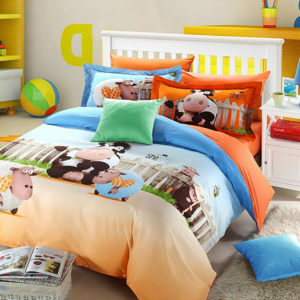 Although baby bedding sets are generally made to a standard size, it is essential to understand that certain large cots may require large or sometimes small bedding sets. Therefore it’s important that one pays attention to the dimensions of the bedding set as well. When selecting its theme, one should also consider the overall theme of the room, colour/s of the wall and the overall layout of the room. Thereafter, one should choose a bedding set which is made out of cotton or cotton blend with flannel so that you could be assured that the little one would be warm and cosy during cold winter nights. However, houses which have centralized heating may not need extra flannel sheets if the temperature if maintained at 60 degrees at night. Polyester satin shouldn’t be considered irrespective of its appearance as it would not only be weird nit would be tacky as well. All the baby bedding sets in our collection are made with attractive designs and comfortable cotton material to ensure that your baby would get the best he/she deserves for a good night’s sleep.